Dental implants placed within the jawbone have become an increasingly popular and aesthetic way to replace missing teeth with strong, high quality artificial teeth that look, feel, and function like your own teeth. Unfortunately, in some cases, the jawbone may not be strong or substantial enough to support dental implants. There are many reasons this can happen. For example, when several teeth are missing, the jawbone may weaken and atrophy over time. Jawbone structure can also be negatively affected by other conditions, including trauma, infection, gum disease, surgery, and congenital defects. Without a healthy, stable jawbone, dental implants cannot be placed securely. 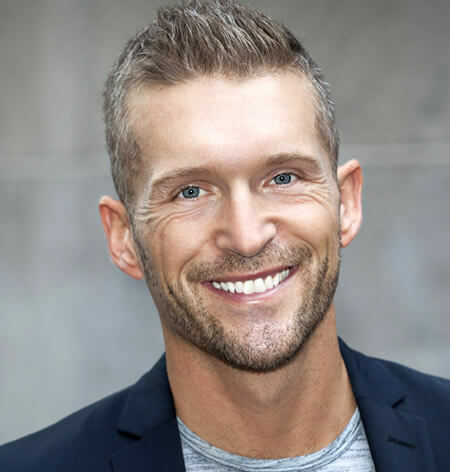 For patients with defects or deficiencies in the jawbone, Dr. Stein uses the most advanced bone grafting techniques to promote bone growth, while creating a strong, stable foundation for the placement of dental implants. Bone grafting can increase bone volume, replace missing bone, and fill in voids in bone structure. In short, advanced bone grafting techniques allow us to grow bone exactly where we need it. Bone grafting is an advanced, effective and safe way to promote healing and bone growth in the jaw. Because bone tissue has the ability to regenerate and grow, strategic placement of bone grafts can encourage bone growth in the space where it’s needed. Once the graft has been placed, the bone must be allowed to heal before placing the dental implants, typically 4 to 9 months. The materials used for the bone graft will depend on the patient’s individual circumstances. In some cases, the best results may come from using the patient’s own bone for the graft. Depending on how much bone is needed, Dr. Stein can harvest bone from within the patient’s mouth or from other areas, such as the hip. In other cases, specially prepared bones from cadavers or synthetic materials may be used for the graft. Dr. Stein is one of the first oral surgeons in the United States to use INFUSE®, an advanced new bone grafting material that uses a special protein to promote bone growth. Dr. Stein is also the first NYC oral surgeon to offer the Straumann® AlloGraft Ring for bone grafting, which is composed of processed allogenic bone from a donor. This procedure combines bone grafting and dental implant placement into a single procedure. Dr. Stein may also use growth factors from a patient’s own blood to help promote healing. Dr. Stein will assess your individual situation and discuss all the options with you. What Is An AlloGraft Ring? The Straumann® AlloGraft Ring is an innovative bone grafting solution for patients with certain bone defects. The AlloGraft Ring is a single-stage bone grafting and dental implant placement procedure. AlloGrafts utilize donor bone and can reduce overall treatment times during bone grafting. Dr. Stein is the only oral surgeon in NYC to offer the Straumann® AlloGraft Ring to allow for simultaneous bone augmentation and implant placement. The Straumann® AlloGraft Ring is a specially made ring of processed allogenic bone from a donor. This ring of bone is carefully placed into the jaw followed by the dental implant to allow for a single-stage procedure. Your AlloGraft ring is inserted into the gum and begins integrating with your bone. Unlike past methods, there is no need for a second procedure, as your bone graft and dental implant are placed together with the AlloGraft Ring. What Are The Benefits Of AlloGraft Bone Grafting? The Straumann® AlloGraft Ring reduces overall procedure time when compared to conventional bone grafting procedures. 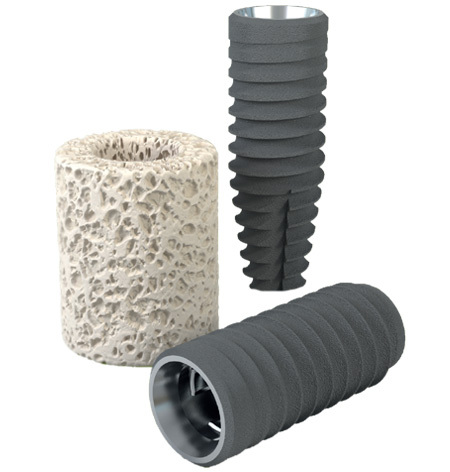 Additionally, patients experience less healing time overall, since the AlloGraft Ring combines your bone grafting and dental implant together into one procedure. There is no need to harvest autologous bone with an AlloGraft ring. AlloGraft bone grafting can also reduce patient discomfort. How is a bone graft performed? In most cases, bone grafting will be performed in a hospital setting. During the procedure, bone will be harvested from appropriate areas if necessary and then placed where needed. In some cases, Dr. Stein may place a special membrane over the graft to protect the graft and promote healthy bone growth. These membranes usually dissolve on their own. Dr. Stein will discuss with you all the details about your specific procedure so that you know exactly what to expect. What is the procedure for a bone graft? When bone loss between the upper jaw and the sinuses occurs, a special bone grafting procedure called a sinus lift may be necessary in order to place dental implants. Dr. Stein has extensive experience in performing sinus lift surgery, performing this procedure many times on a weekly basis. For more information about the sinus lift procedure, please visit our sinus lift surgery page. What is a ridge expansion? When the jaw isn’t wide enough to support dental implants, a special type of bone grafting procedure called a ridge expansion may be necessary. A ridge expansion can increase the height or width of the jawbone so that it is substantial enough to support dental implants. During a ridge expansion, Dr. Stein will use a special saw to split the jaw along the top ridge, making a space to pack the bone grafting materials. In some cases, dental implants may be placed immediately after a ridge expansion, while in other cases, the bone will need time to heal first. Dr. Stein will discuss your specific situation with you before your procedure. How do I get started with bone grafting? Dr. Stein and his staff would be happy to discuss bone grafting with you. Please call 212-888-4760 or schedule an appointment online to arrange for a private consultation at our office.